Dudley MBC move with the times with their apprenticeship recruitment. New functionalities are released monthly, and to stay relevant you must move with the times. This was the thought at the fore front of Illesse’ s mind when she clicked on to the Dudley Council Apprenticeship Academy microsite. First designed in 2015, the microsite was state of the art. However, a lot has changed in the microsite industry in the last two years and she recognised the need for change. As our resident microsite Queen, Illesse paired up with Chris Boote (our microsite King) to present a brief to the recruitment team at Dudley. Before they knew it, the project plan was created, brief signed off and photoshoot organised ready for Illesse to start working her microsite magic. Proud of project outcome, Illesse commented: “I really enjoyed working with Dudley on this project and the apprentices were really professional yet fun to work with during the photoshoot. To view the finished site, click here. If you are struggling to attract high quality candidates to your apprentice roles or are interested in creating your own apprenticeship microsite, please contact i.uppal@wmemployers.org.uk for an informal discussion. 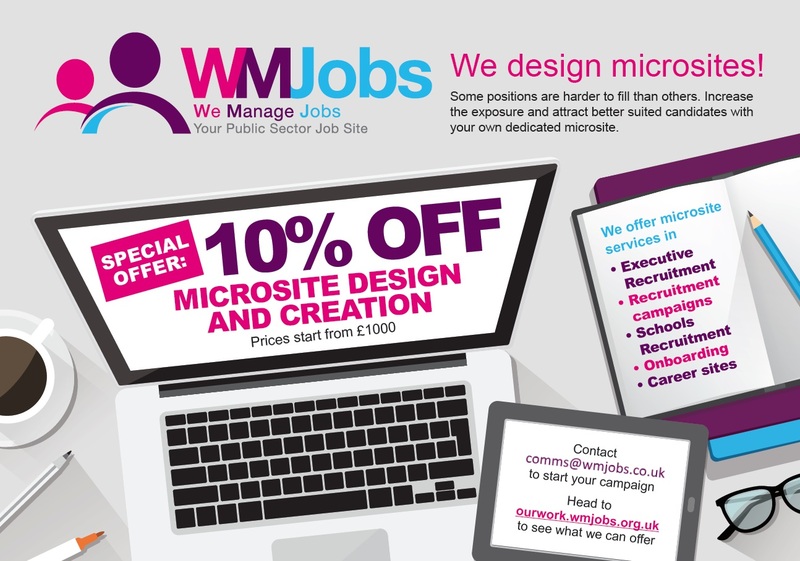 Previous Post: WMJobs 1 year on – Where has the time gone?